Most of us are aware of the coming individual problems with the healthcare crisis, the social security crisis, and the national debt crisis but are not aware of their impact on and effect on income and estate taxes in the future. Congress tends to push problems off not solving them until there is a crisis. When the economy is bad the government tends to raise both income and estate taxes. 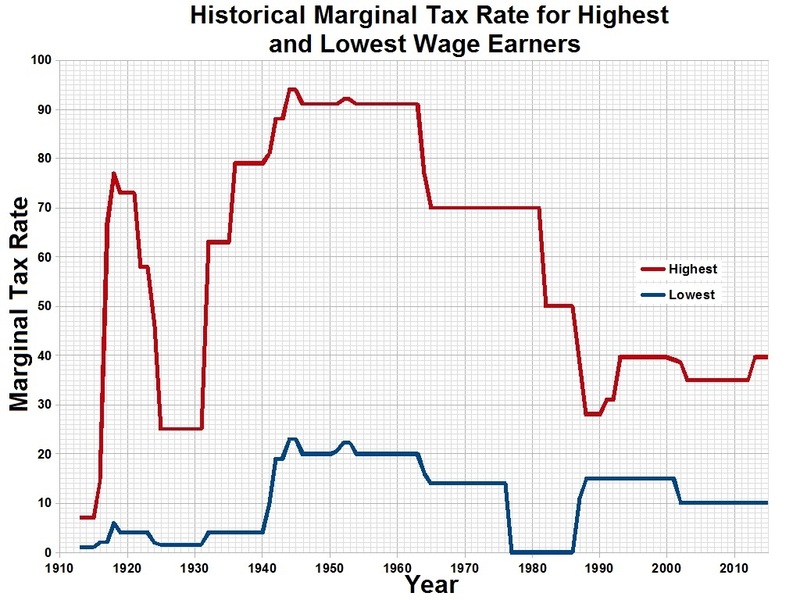 Source:Tax Foundation, "U.S. Federal Individual Income Tax Rates History, 1862-2013", 17 October 2013. Investment accounts could certainly be impacted by a stalled economy and as a final blow be subject to 5 different taxes.